Bone and soft tissue cancers are rare malignant cancers that spread to other parts of the body (metastasis). Treatment mainly involves chemotherapy, radiation therapy, and surgical removal of the tumor. Traditionally surgery involved the amputation or removal of the entire arm or leg to prevent the cancer from spreading. Now with the advancement of diagnostic procedures, chemotherapy and surgical procedures, surgeons can perform limb salvage surgery. 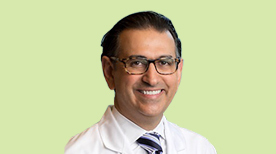 Limb salvage surgery involves removing the cancerous tumor along with a margin of adjoining tissue followed by reconstruction of the limb, both functionally and aesthetically, to provide the best possible outcome for the patient. Your surgeon will recommend limb salvage surgery after evaluating many factors such as your age and general health; type, location and size of the tumor, and extent of the metastasis. Before surgery chemotherapy or radiation is given for a few months to kill the cancer cells and shrink the tumor. Then, the remaining tumor is completely removed surgically, along with a margin of healthy tissue. The gap formed by the surgery is then reconstructed. If only a small amount of tissue is removed, an autograft (healthy tissue removed from another part of the patient’s body) or an allograft (tissue taken from a cadaver)can be used to reconstruct the surgical gap. 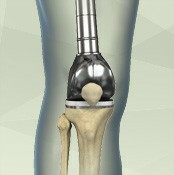 Prosthetic implants may also be necessary if a joint requires reconstruction. The bone graft is shaped to the required size and attached to the bone with the help of metal rods and plates. If an implant is used to construct the bone, it is fixed in the bone using bone cement. If joint reconstruction is required, the bones are either fused with a bone graft or a bone graft with a prosthesis is fixed with plate and screws. The muscles and tendons are attached to the implant and the surgical site is closed after covering the implant with healthy soft tissue. Your leg or arm will be bandaged and immobilized in a splint to help in the healing process. After the surgery, pain medications are given through an epidural or patient controlled analgesia pump. Broad-spectrum antibiotics are prescribed to prevent an infection. You will be closely monitored for any signs of pulmonary embolism, deep-vein thrombosis or pneumonia. Physical therapy is initiated soon after the surgery and continues for a year to regain muscle strength and functional mobility of the limb.